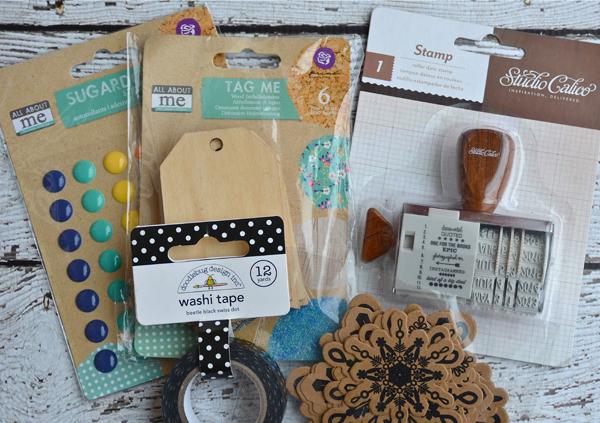 I'm joining in with a number of scrapper friends today for a blog hop review of our top ten favorite layouts from 2013 (please see the end of this post for the blop hop list). I'm deviating from that just a bit and posting 13 since the year 2013 is coming to a close. One winner will be drawn at random on December 31st. All you have to do is leave a comment telling me which layout is your favorite or become a follower if you aren't one already. That's it. Super easy. Good luck! Lisa, you have such a fun style. I love how you use all the embellishments yet still keep the photos as the focus. Love the last one. Such fun bright colors! They are all great and I really love the Bucket List at 11. So pretty. I love how detailed your layouts are. So much to see! These are wonderful! I think I like your Master (Piece) layout the best simply because I love how the bright colors contrast so nicely with your dark background! And I love that I am not the only one who deviated a little from including 10 projects - LOL! These are all absolutely amazing! How can we pick! "It's a bad case of stripes" is a fave for sure. Your photos are always fabulous! I hope you have a wonderful New Year of more great things to come! I think they are all amazing too, but I really love the Every Summer Has a Story and This is What Life is All About. I too could not pick just 10 and went with 13 too, so glad I am not the only one with issues, lol. These are just spectacular. Very hard to choose a favorite. I love #1 for the pure creativity in looking at that notebook paper and doing THAT with it. Genius. I really love the bold colors of Turning 12 and a Bad Case of Stripes. Those two are so striking. Bucket List is so soothing. Love how you used the pops of black to ground the page. They are all wonderful. You had a super creative year! Such a great idea to look back at your favorite layouts. They are all fabulous! :) I really love the bucket list layout. I so totally need to "borrow" that idea! :) Happy New Year, Lisa! Awesome pix!!! Love your pages and can't wait to see what you do in 2014! Great pages! I'm especially fond of the 'soaring to new heights' page. Look forward to your work in 2014! 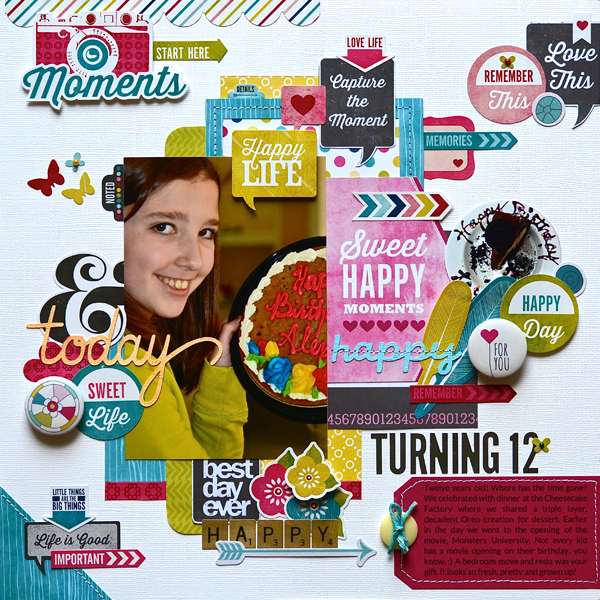 Such fabulous layouts Lisa! Wishing you a wonderful 2014!!! Wow, so many great ideas! Hope you had a wonderful Christmas and I'm a follower! They are all fabulous Lisa, you know I'm a big fan of your work! :-) Can't wait to see what you'll come up with in the new year! Such fun!!!! Every Summer Has a Story is just too cute!!! Thanks for sharing the link so that I can join in on the fun! What great layouts! My personal fave is the final one, This is what life is all about---great photo, great layout! But all of them are great--love your style! I am already a follower! I don't think I choose a favorite - I love your bright and fun and colorful style. So much inspiration. Thank you! 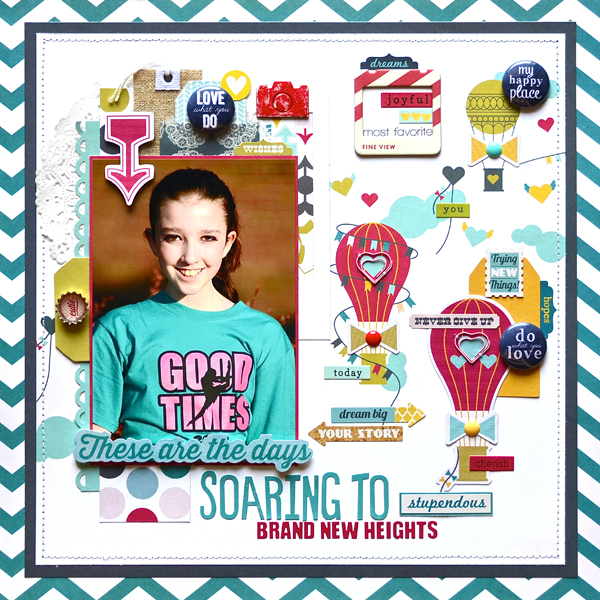 Love your fun bright layouts! My favorite is every summer has a story! I am already a follower! Great layouts. My favorite on is soaring to new heights. I love how you use so many elements on all your pages. Great layouts. I think my favorite is the Halloween one. I love the ghosts peeking out of the corners, fun detail! Wow! Your layouts are so full of color and detail with so much to look at! My favorite is "A Bad case of the Stripes"; not only is the layout fantastic but I love the title! All of titles are unique! Your pages are always so fun and happy! I love the summer page!!! Thanks so much Lisa for your great inspiration! 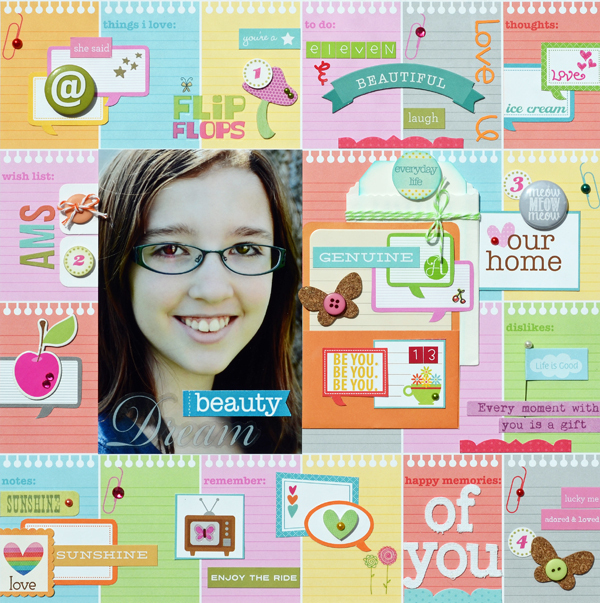 Your last layout is my favorite- due to the pop of color on that text background! Thanks for the chance! Wonderful layouts! You have such a defined style, and I love seeing how it translates to different collections/themes/subjects. Wow! I remember many of these! You always do gorgeous work! Wow they are all so great, have to say I love the Andy Warhol pie type picture used on that second page...very creative. Wow! Beautiful projects. Each one has so many little details. Love your style! thanks for all the inspiration you gave this year! Love your style, it is so unique and amazing! 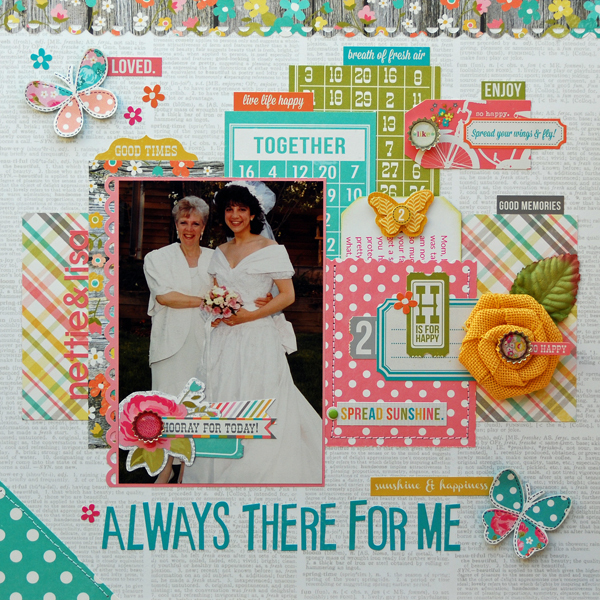 I can always spot a Lisa Swift layout...they are all to wonderful to pick a fave! I really love A Master Piece!! love each and every one of these!!! Always love your gorgeous work, Lisa!! Your layouts are always so bright and happy and I love your choices for the Hop! These are fabulous!!! 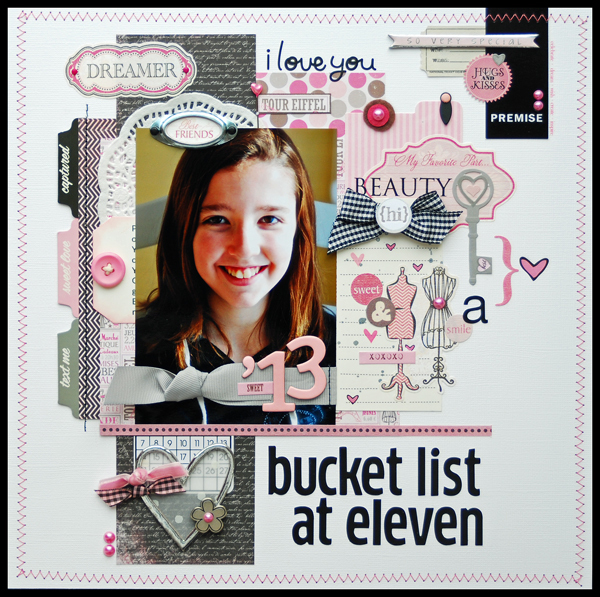 I LOVE 12 and 5 and 13 too... your use of embellishments on your layouts are awesome!!! I am happy to be a new follower and can't wait to see more of your work in the future! 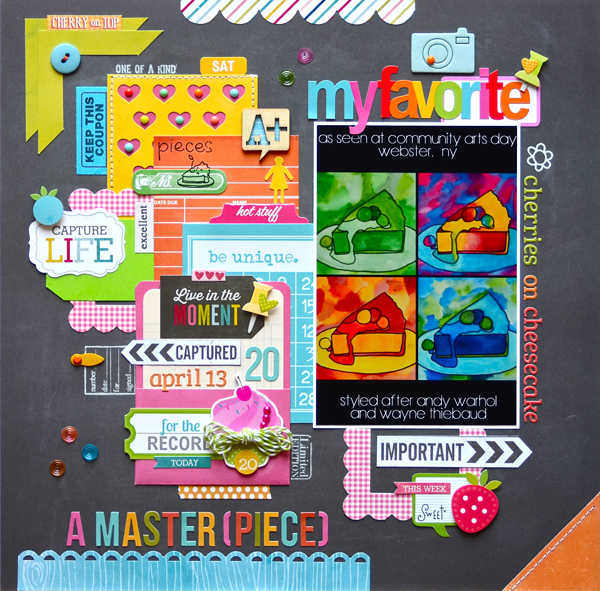 Fabulous pages - love how you use the die cuts and embellishments! Glad to be a follower! Your ability to layer and combine so much color and pattern always amazes me. You do it with such skill and I can't stop looking at your layouts. Beautiful choices! Amazing layouts - tough to pick a favorite but I'm going with the "I'm a Star" one. Now following you with bloglovin'. Choosing just one! Wow... I will go with Master(piece) because it is beyond brilliant... But I already follow your blog and love everything, in particular the last two, so gorgeous. Great sense of colour and pattern, very few designers can do it as well as you do. Wowzers Lisa. I love looking at your layouts! 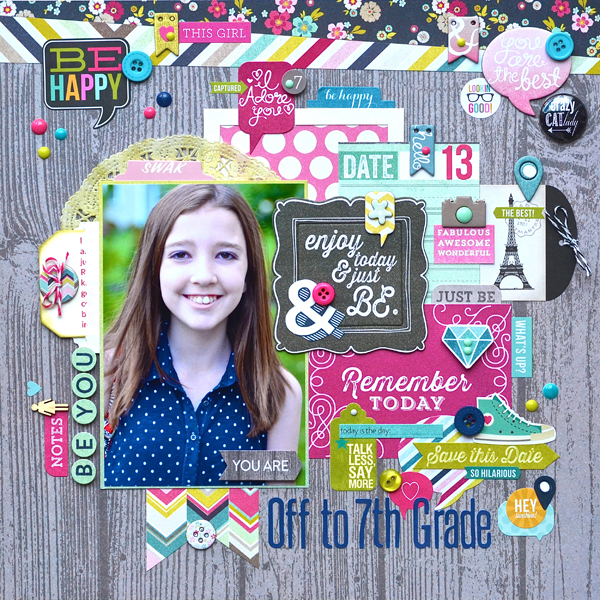 You have such a unique scrapbook style. Super detailed and so much to look at. I couldn't choose a fav. I love ALL of them! 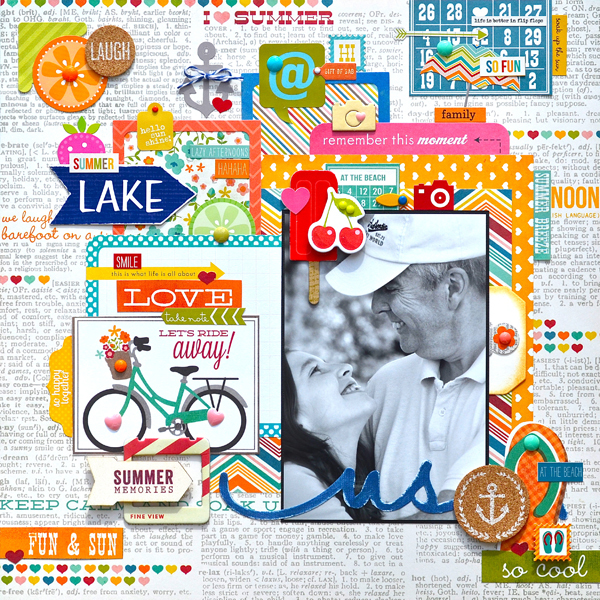 Loving the way you embellish your pages and the details you add Lisa! I think my favorite is the awkward stripes page! 4. Always There for Me. Beautiful layouts! I love the 7th grade one! I really, truly, absolutely LOVE each of your layouts. Since I have to pick just one, though, it would have to be "Baby you're a star" since I am a real fan of black/white/red layouts. Thanks for sharing! Love all your layouts! But 3, 6, 7, and 8 are my favorites. Love the paper used in the #6 layout. WOW! What a neat thing to do - reacap your 2013 creations!!! whoa these are all amazing! Oooh, my favorite layout is the Bucket List at 11. Love the mix of pink with black and the creative theme! New Follower! Stunning top 10!!! Just love your style!! 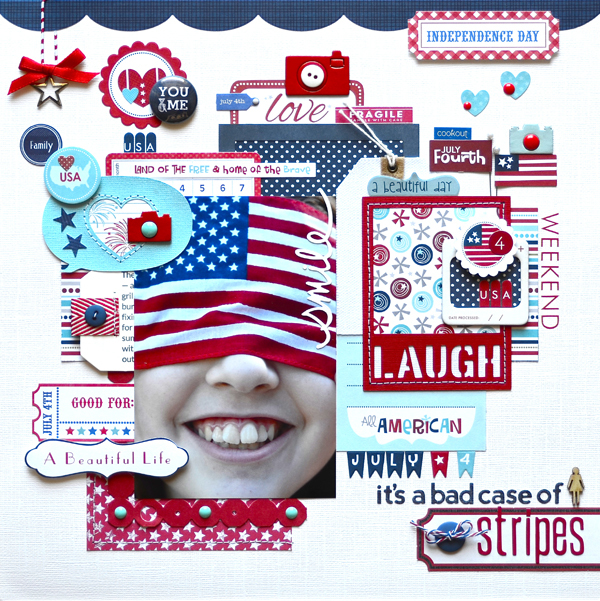 My favorite is the "stripes" layout ... the colors, the design, that fun photo: just awesome! I love your style, I so admire your work, I wouldn't even know where to begin to create a page the way you do! amazing work. I like them all of course, but I really like Bucket list at 11, not just for the page, but for the idea as well. I always so enjoy your style, Lisa! I enjoyed every one but my fave was the last one. You captured the bond between them. Their love for each other is filling the page! You are fast. Will have mine up tomorrow. Amazing year and LO's Lisa! Wishing for another great year for you! WOW! I honestly don't think I can pick a favourite!! I love how busy and colourful they are! I really can't choose!! Maybe 'you are off to the 7th grade' but only wins by a nose!! Your pages are gorgeous!! I LOVE your use of color, really inspiring. Have a great 2014! Love the arty Master(piece) and all the great photos of you daughter. I like the bucket list at eleven. Thanks for the ideas! They all look amazing!!! It is almost like you make your own background paper the way it is layered. Great style Lisa!!! 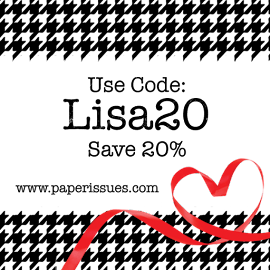 Oh this is a great time of year to catch up on blogs with all the review posts - your pages are fantastic. You have such style in the way you fill up a page.